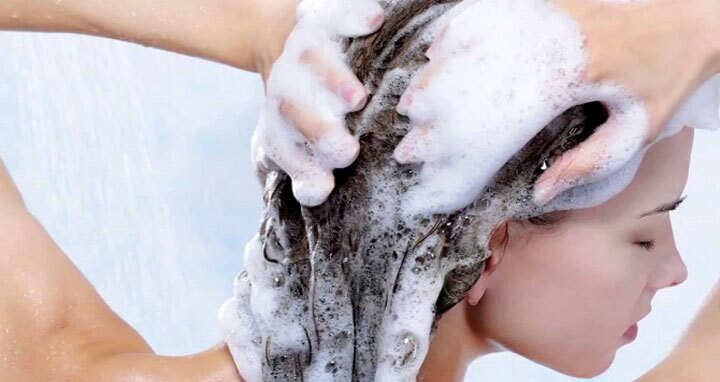 Shampoo cleanses hair, removing dirt and oil, while conditioner smoothes and detangles it. It's a two-step process that's been this way forever. Of course, the amount one uses of each varies depending on hair texture. If you have fine hair, you probably use less conditioner (or none at all) and almost never put it on your roots—a recipe for flat hair. But you are often left with stiff, dry hair (the lesser of two evils). And for those with coarse hair, you might condition or co-wash more often than shampoo, since washing often can dry out your hair. Cleansing conditioners were created to solve this problem—check out our favorites, here. But scientists at Unilever saw that by reversing the order in which you wash your hair—condition first, then shampoo—you're left with soft, manageable, clean hair with more body than usual—a huge innovation for fine-haired women. This realization resulted in the creation of TRESemme Beauty-Full Volume Pre Wash Conditioner ($5, target.com) and Shampoo ($5, target.com), a reverse wash haircare system in which the conditioner works to reinforce the natural protective layer during washing to leave hair smooth, then the shampoo cleans it and rinses away the weight of the conditioner so hair is bouncier and not weighed down. If this sounds backwards to you, that's normal. The company is asking you to change the way you've washed your hair for years, however, they do make it easy, labeling the white conditioner bottle "Step 1" and the black Shampoo bottle "Step 2" (whew). Bonus: They're jumbo, making them great for sharing (with your kids, your roommates, etc. ), plus the system is great for color protection. I have fine, curly hair (but a lot of it). I like traditional conditioner for its smoothing and moisturizing benefits (since my curls tend to get dry), but I dislike it because it leaves my hair practically lifeless. I gave these new products a whirl and was pleasantly surprised at how soft my normally dry hair felt, yet how springy it looked.